Euro €5,750,000	Now reduced Need Finance? Euro €5,750,000	Now reduced Need Finance? Need Insurance? 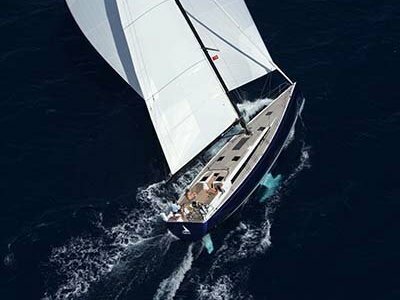 Launched in 2013, Oyster 885-02 Karibu is offered for sale exclusively through Oyster Brokerage and can be inspected through the Palma office. 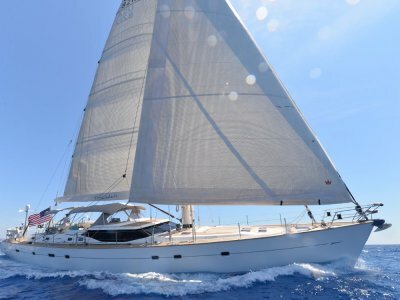 She is in exceptional condition and is now aggressively priced for a quick sale. 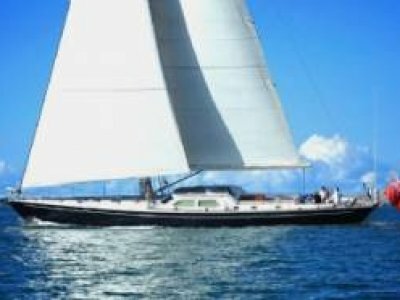 Extensively detailed for an owner intent on both high performance and high level comfort, Karibu has cruised and raced both the Med and Caribbean and has never chartered, though the boat is well set for this with MCA Class 2 certification. She is in exceptional condition. The accommodation, themed in light limed-teak, savannah leathers and soft white panelling, comprises three suites aft of the raised deck saloon with a fourth convertible cabin forward of the lower deck atrium with its navigation and control stations. Additional bunks can be mounted in the twin suites aft, elevating guest berthing to 10. Natural and mood lighting abound with huge seascape hull windows and touch light switching with swap-out to red night lights. For freshness the neatly concealed forced air ventilation system flushes the accommodation air space six times hourly. The enclosable crew accommodation forward provides excellent living quarters for up to five, and a secure, well planned, professional galley with extensive stowage, refrigeration and, at the top of your chef's wish-list, a steam oven. From here there's discreet access to the immaculate, standing height engine room, the layout prioritising eased servicing and with impeccable installation and labelling. The engine is a 300hp Cummins, generators have been upgraded to equal 27kW units. With extensive noise and vibration attenuation from all-embracing insulation to soft joins and seals for pipe and cable mounts and pull-tight doors, drawers and floors, Karibu is a very quiet boat. 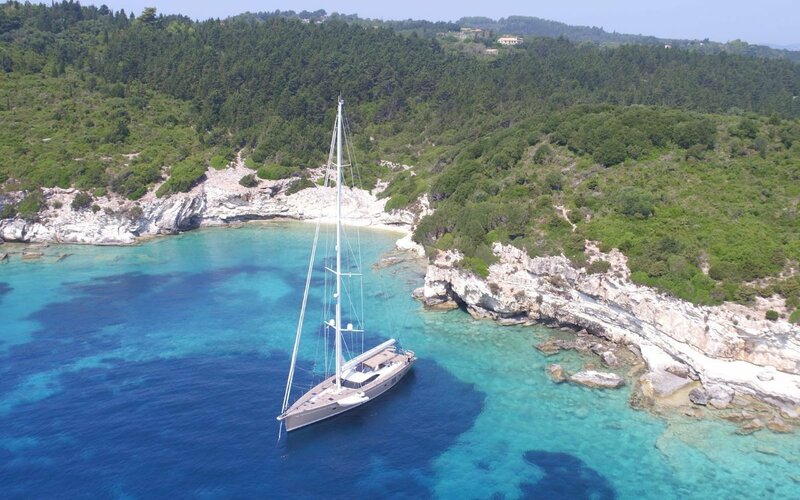 For efficient sailing, beyond the stylish single-point mainsheet, there's a second concealed captive winch for main halyard hauling and quick reefing from the safety of the twin consoled cockpit. The towering, four-spreader, Hall carbon spar has higher spec discontinuous CSR (carbon standing rigging) with titanium. A first for Oyster, this takes a tonne out of the rig making a lighter, stiffer boat that sails higher on the wind. Underway her extensively tank tested twin ruddered Humphreys design makes for exceptional handling on and off the wind, sailing to 25° apparent with 10 knots in little more than a 10knot breeze. Off the wind she nudges mid teens. Sails, both competition and cruising, are all Elvstrom. Prime hardware/hydraulics are Navtec/Reckmann/Lewmar. 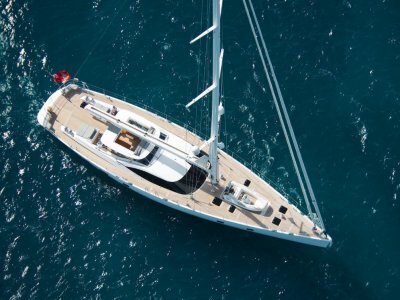 Decks are clear and uncluttered with flush hatches and pop-up warping winch set into the long seamless teak decking with tender recess on the foredeck doubling as cushioned sun-pit when the 4.2m RIB is hoisted out into the water. Aft of the contoured twin cockpit arrangement which neatly divides social and working areas, the sundeck with full-beam, deep lazarette for toys, fenders and dive compressor leads through the stays to the fold-down stern platform sided by telescopic stainless steel passarelle. Come onboard, your inspection awaits.